be the talk of your holiday get-together. This merry holiday costume features a red vest, trimmed in white with an appliquéd black belt with gold buckle. 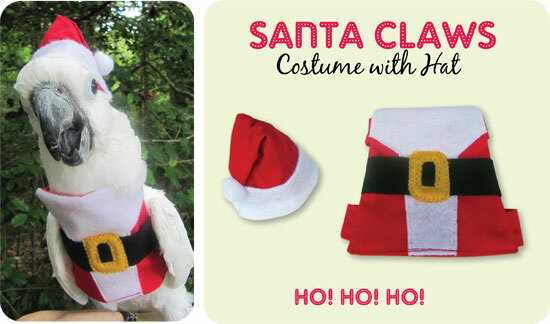 Of course no Santa suit would be complete without the stocking cap. For more information or to order this adorable outfit, click here. Did You Know Reindeer Eyes Change Color Each Season?